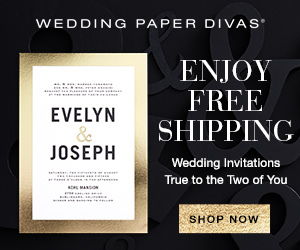 Wedding Paper Divas Sitewide Sale! Starting today and ending May 8, Wedding Paper Divas is having a SITEWIDE sale – 25% OFF everything! Whether you need wedding invitations, rehearsal dinner invitations, save the date cards, programs, favors or any other wedding stationery, order by May 8th and receive a 25% discount! The code for the sale is 25WPD. Wedding Trends on 9 News!